A bedroom should be a comfortable place that you can go to to relax and have some peace and quiet. To help your bedroom look appealing, you can add a great headboard to help add some style. You don't have to spend hundreds of dollars at your local furniture store when there are many easy diy headboards that you can make yourself, right in your home. Some of the diy headboard ideas that are out there don't even require you to go out and buy many materials. 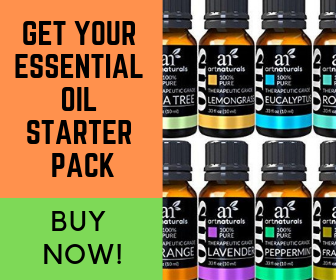 A lot of the time you can find what you need just laying around. 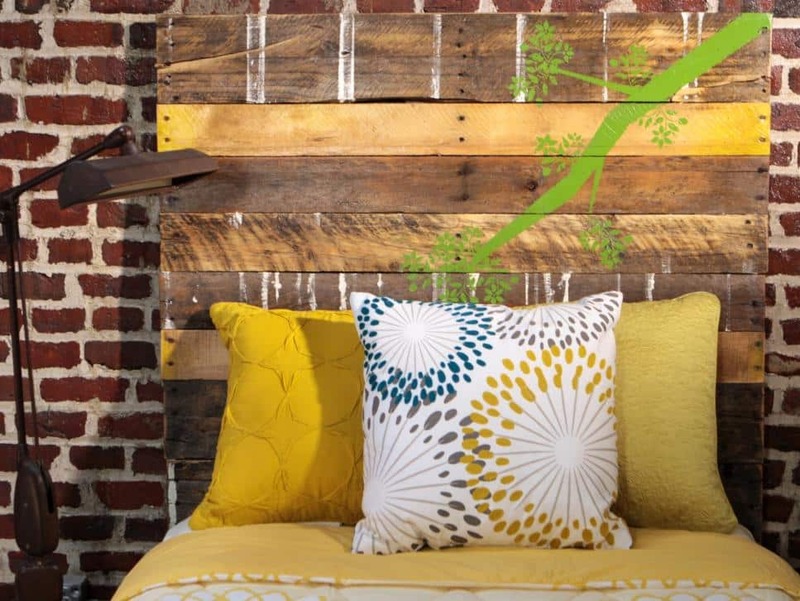 Whether that's an old door, a pallet or just some old wood, you can create a diy headboard that will look great! 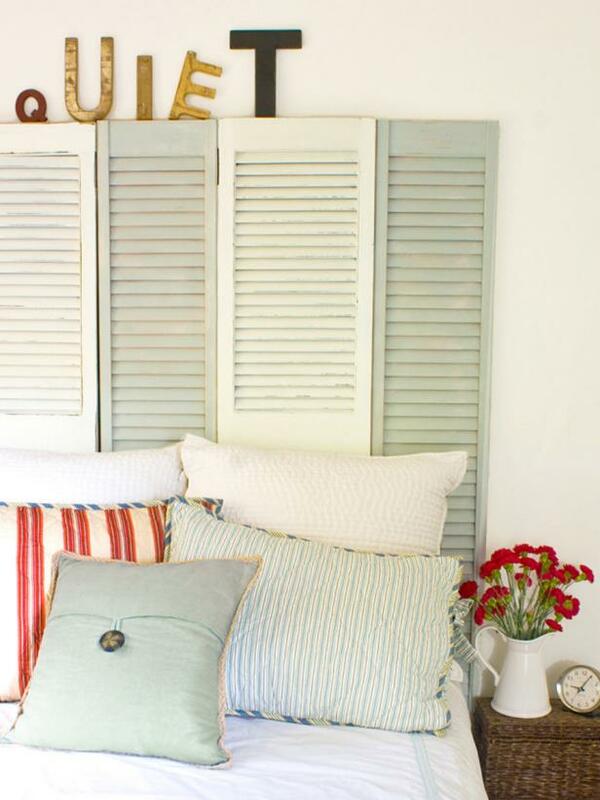 If you have old shutters laying around that you have no use for, you can repurpose them to get a beautiful headboard. Even if you do not have shutters, if you wanted to spend a few bucks you could even purchase them at Home Depot or another home improvement store. Wooden headboards are a beautiful addition to create a focal point in your bedroom. With this diy door headboard, you can create a hundred dollar headboard for around 25 dollars. Because the door is wooden, this is a great piece to stain or paint to match your room decor. Pallets are something that most stores, warehouses and shippers get rid of. 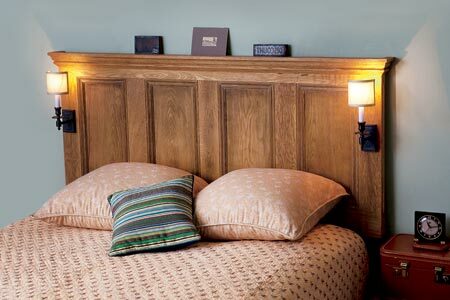 This makes it very simple for you to be able to obtain one in order to create a rustic headboard to decorate your room. A clean pallet or one that you add a painted design could go great with the decor in your room. With a pallet headboard, you can get a visually appealing headboard for little to no cost at all. Click here to follow the steps to make this headboard.